Texas may not be known for its snowstorms, but even a few inches of sleet can wreak havoc on your roof. Add in a little wind, rain, and rodent activity, and you can be stuck with a big winter mess. Since you never know what the weather in DFW may bring, it is best to be proactive by using these Texas roofing tips to check for problems before they spread. The design of a roof is something most people don’t think about, but it’s pretty impressive. Your roof has a slight slope that allows water to run off into your gutters and down, away from your house. While the system works perfectly most of the time, fall leaves and debris can quickly block the passageway and lead to standing water on your roof. Over time, this can lead to damaged shingles and rot so make sure to do a seasonal clean up before winter hits hard. Overhanging branches are one of the biggest causes of stripped asphalt shingles, and those limbs also provide easy access for winter pests to gnaw at your roof to gain access to the attic. Ideally, all branches should be trimmed approximately three feet from the exterior of your home. Most roof leaks start out small, and they are sometimes undetectable to the human eye when they occur between interior walls. Begin by using a flashlight to check the ceiling and walls in your attic, and then move on to the other rooms in your home. Any areas that bulge, feel moist or have obvious mold are clear signs that your roof needs repairs. During the winter, your roof provides your family with protection from the elements. Be sure to contact us today for your seasonal inspection to make sure your roof is ready for whatever winter brings. Everyone knows a house needs a strong foundation, but a house also needs a secure roofing system. From the underlayment to the ridge vent, the installation of a shingle roof must be performed by trained and licensed professionals. Shingle roofs are by far the most popular. They are also the most cost-effective. They do a great job resisting extreme temperatures and protecting you from the elements, but not all shingles roofs are the same. Shingles come in a variety of warranty lengths ranging from 20 to 50 years. Typically, the rating determines the weight, wind resistance and price. 20-year shingles are not nearly as heavy, sturdy and expensive as 50-year shingles. 1. How much? This is based on how much repair the roof requires or if it has to be completely replaced and what your budget can afford. It’s strongly recommended not to take the cheapest route. Doing so may cost you much more in the long run. 2. How long? Once you’ve determined what’s required, you need to decide how long you plan on residing in the house, your geographical location and the type of weather you frequently experience. 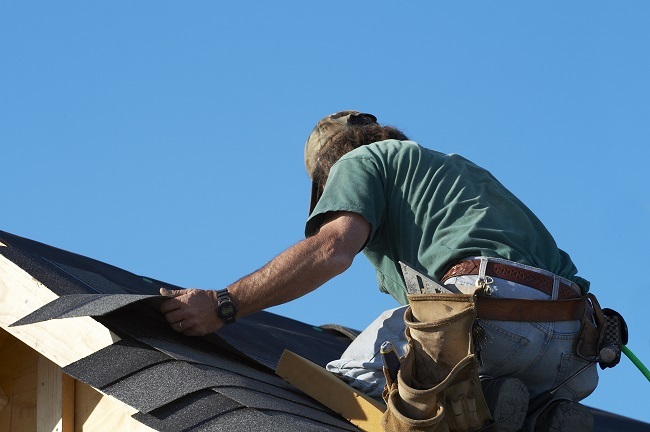 If you get a lot of wind and rain, you may want to go with a durable shingle. 1. 3-Tab Asphalt Shingles – the standard. These are the more common and economical version. They lay flat over each other creating straight lines. Installation of these requires more attention to detail as the slightest error will make the mistake grossly apparent. 2. 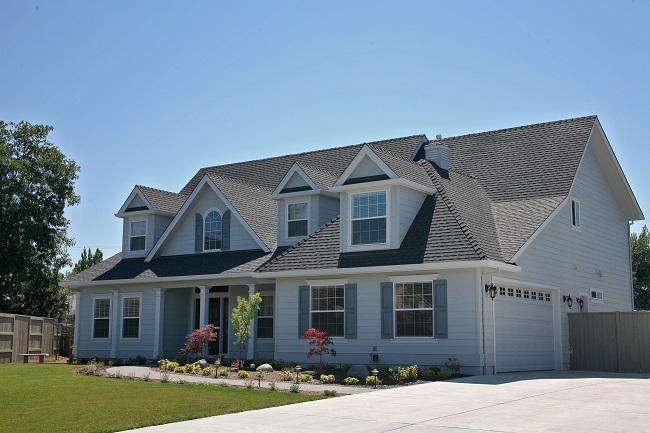 Architectural/Dimensional Asphalt Shingles – the next evolution. These tend to be the choice of newer homes because they resemble the look of cedar shake while providing the functionality of an asphalt shingle. They are thicker and sturdier than 3-tab shingles. Installation of these is more forgiving as they hide imperfections better. If you’re looking for an honest and experienced roofing company to come out, perform a photographed inspection and show you exactly what you need, contact us.